There are hardly any heirloom recipes that don't invoke some kind of memory for me. A look into the past or an updated rendition for the future. Each recipe (ingredient) can tie back to a person, place or event that's left behind a perfect snapshot in my head. Joselyn has captured this beautifully in her book Grandbaby Cakes, sharing soulful memories and recipes of baked goodness that will strike a cord with the sweet tooth in everyone. As well as those who live for nostalgic recipes like me. My daughter and I have been cooking our way through this book; she is the better baker. 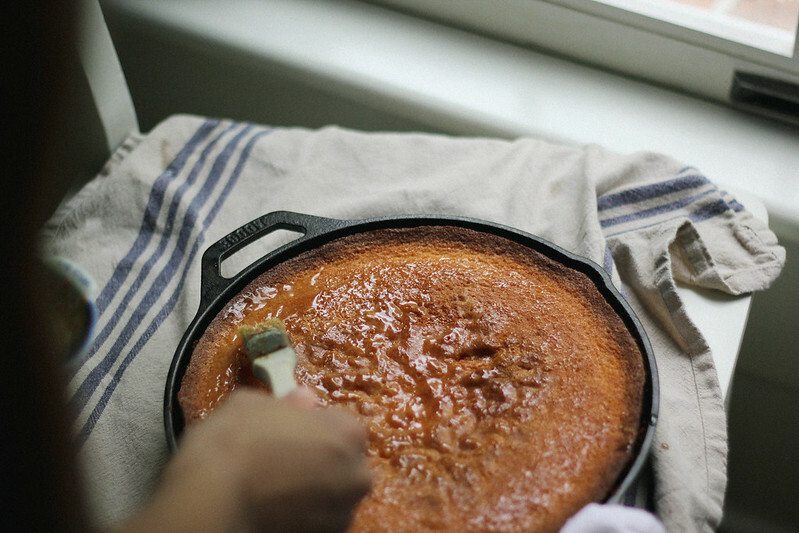 From sweet potato rum crumble topped nirvana to the moist honey glazed sweet cornmeal cake you see here. Each one charmingly married in a memory. This cornmeal cake was devoured so quickly that I had to make it again for my husbands tailgate group. 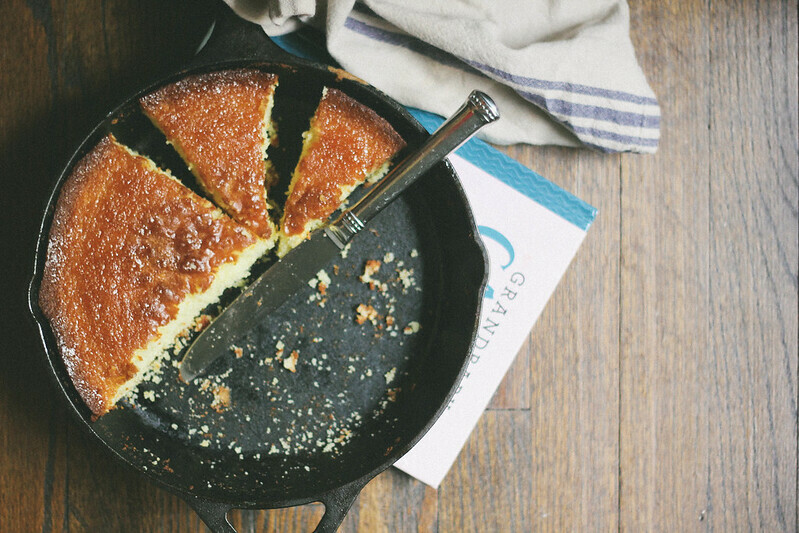 In a combination of my two favorite things- cake and cornbread- this is sheer sweet paradise hidden in each slice. It reminds me a lot of what is considered "soul food" style cornbread. Enjoyed much like cake, nectarous with a honeyed glaze on top. 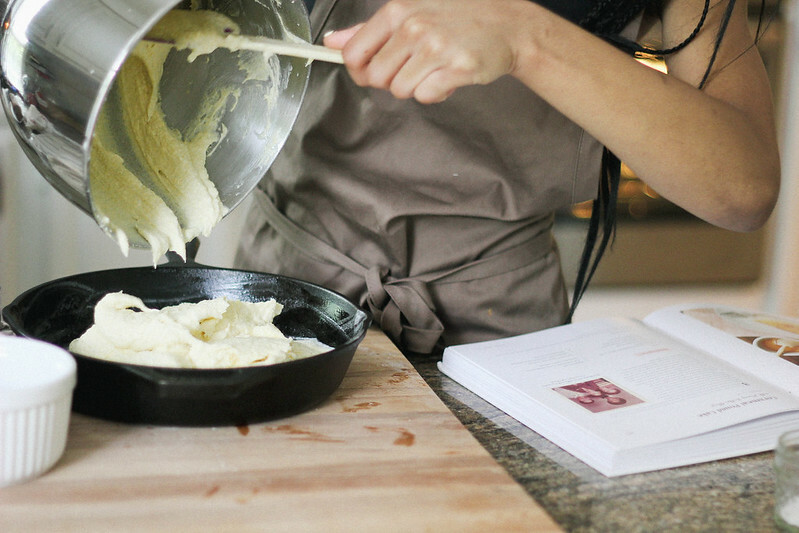 Warming the skillet in the oven for a few minutes before pouring the batter in will give the edges and bottom a crisp foundation while keeping the inside moist and maintaining the cake-like crumb. Did I say delicious? Cause it needs repeating. Pick up the book Grandbaby Cakes for more deliciousness like this.. 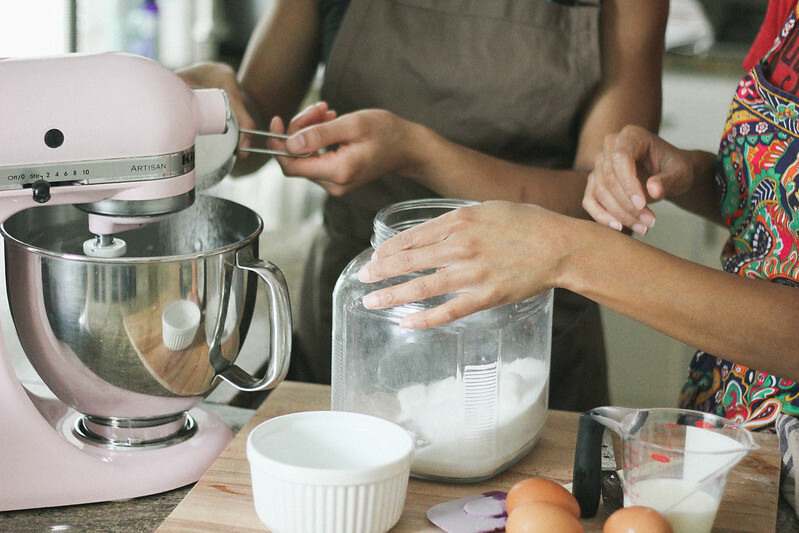 Using the bowl of your stand mixer fitted with a whisk attachment, beat the butter for 2 minutes on high speed. Slowly add the sugar. Cream together the butter and the sugar until light and fluffy, about 5 minutes. Add the eggs 1 at a time, mixing well after each addition, remembering to scrap down the sides the of the bowl. Turn mixer down to low speed and slowly add in the flour and cornmeal. Add in the salt being careful not to over mix. Pour in the buttermilk and vanilla, mix well to combine all the ingredients. Place a cast iron skillet in the oven for about 5 minutes. Remove skillet from the oven and drop a tablespoon of butter into the hot skillet, it should sizzle and melt pretty quickly. 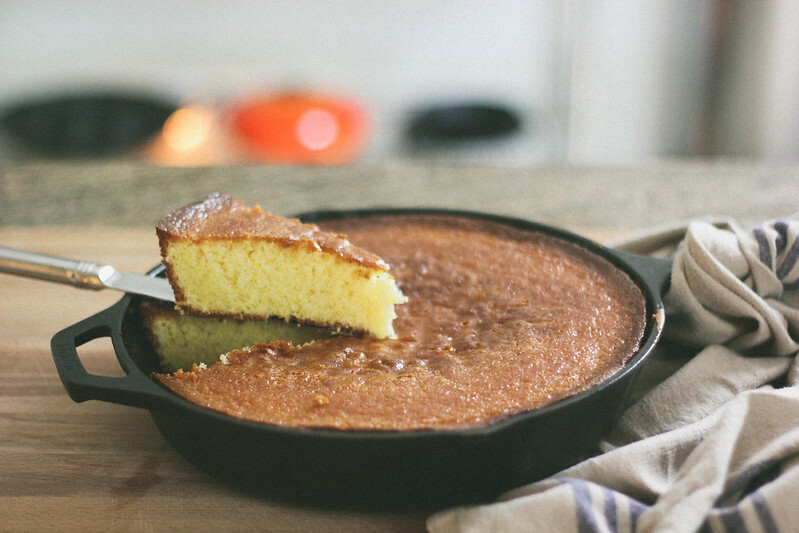 Once the butter has melted, pour cornmeal cake batter into the hot skillet and bake for 35-40 minutes or until a toothpick inserted in the middle comes out clean. For the glaze, whisk the butter and honey together until well blended. Allow cake to cool slightly before adding glaze. The recipe calls for pouring the glaze over each slice, but we brushed it over the entire cake before slicing. Then licked the glaze bowl and our fingers. Y’all go out and get this book, it’s full of great gems like this and a kickass Caramel Cake that everyone should be making.